Sooz Fassberg and JP Hallet met back in 1984. 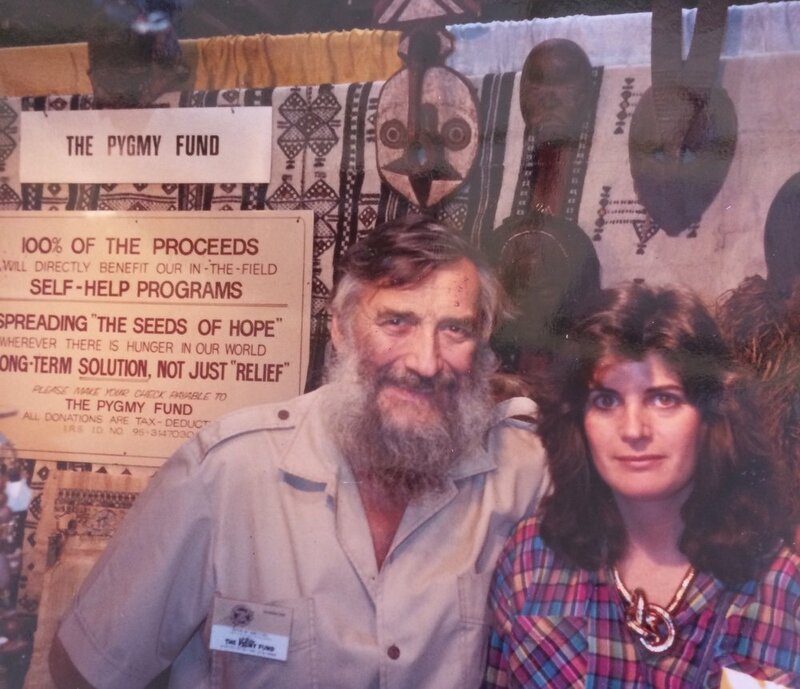 Here she joined him at his shop in Santa Monica where he sold beads and African artwork to support ongoing efforts on behalf of the Pygmies. Marketing consultant Sooz Fassberg creates products that encourage us to “connect the dots” and see a bigger picture. And that larger understanding often has something to do with connectedness… appreciating the connections we have, recognizing the ones for which we yearn, or simply seeing a common thread for the first time. Passionate about languages and psychology, fluent in German, Spanish, and French, Sooz brings a cross-cultural mindset to the Dotz enterprise. Optimistic and entrepreneurial, she successfully launched the best-selling “50 Simple Things You Can Do to Save the Earth” and then created the first nationally sold environmental giftbasket. After years working in television, magazine and book publishing, she transitioned online in 1994 as PR and Marketing Director for Salon.com and then Business Development Director for Ask Jeeves for Kids. In 2010, Sooz became Director of Strategic Partnerships and Marketing at the Greater Good Science Center at U.C. Berkeley to support distribution of data on behaviors like altruism, awe, empathy, gratitude, resilience and compassion. Translating the latest pro-social research into practical advice, the GGSC informs and inspires parents, teachers, counselors, doctors, and others in the helping professions. She then continued “linking people with ideas with people with ideas…” for the Random Acts of Kindness Foundation, CCARE, Stanford’s Center for Compassion and Altruism Research and Education, and Paul Ekman, pioneering researcher on human emotions and micro-expressions. Additionally, Sooz consulted to the Centre for Investigative Journalism in London, inspired by their unwavering commitment to free speech, privacy, and the fearless training of young investigative journalists worldwide. As a volunteer, Sooz made long-term commitments to innovative non-profits: She served nine years on the Board of Rockwood Leadership Institute. Rockwood trains progressive non-profit leaders to be highly effective in their work and their collaborations. (Many Rockwood alums are recognized as Young Progressives who are Changing America.) She also spent several years co-facilitating arts and media grantmaking with the innovative Threshold Foundation. After twelve years, Sooz still serves on the Board of Terralingua.org. Terralingua works to protect the world’s biological, cultural and linguistic diversity through innovative programs of research, education and policy advocacy. (You can find their beautiful e-magazine – called Langscape – and discover plans to preserve indigenous oral traditions and sacred lands.) Cultural loss is as devastating as species loss, and we must actively educate ourselves to understand the interconnectedness. ConnectingDotz is based in Berkeley, CA. Ben Zweig provides assist now and then. He uses his powers for good, just like his mom.